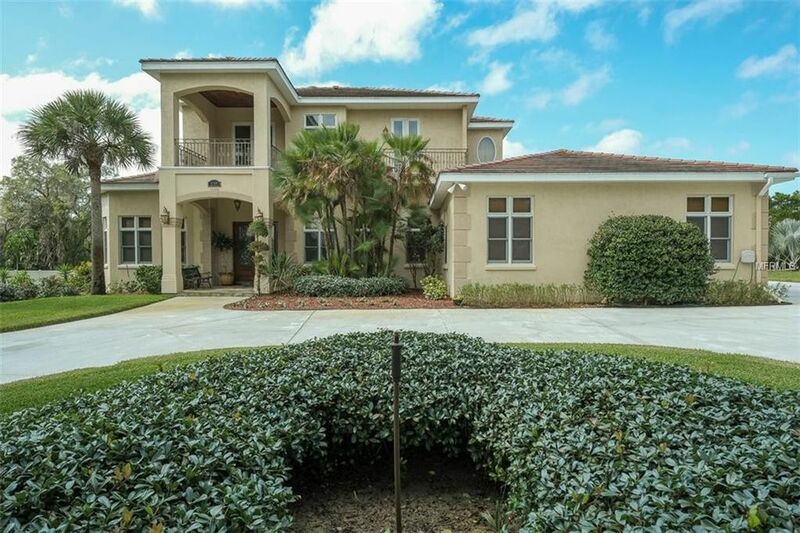 ESTATE LIVING AT ITS FINEST....THIS 5 BED, 5 FULL BATH + STUDY + GAME ROOM, CUSTOM BUILT HOME IS SPRAWLED OUT OVER 5, 200+ HEATED SQUARE FEET OF LIVING SPACE!!! AND NESTLED IN SAIL HARBOR SUBDIVISION! ONCE YOU ENTER THROUGH THE DOUBLE LEADED GLASS DOORS, YOU'RE GREETED W/ 12 FOOT CEILINGS, DOUBLE CROWN MOLDINGS, EXOTIC HARDWOOD FLOORING INLAID W/ BAMBOO DESIGNER WOOD. A TRUE MASTERPIECE!!! THE MASTER BEDROOM HAS VENETIAN PLASTER, A CUSTOM ALCOVE W/ LIGHTING OVER THE BED, HARDWOOD FLOORING AND "ANDERSON" FRENCH DOORS LEADING OUT TO THE POOL. THE STUDY IS CONNECTED TO YOUR MASTER BY A POSH MASTER BATH, FRAMELESS SHOWER ENCLOSURE, LARGE WHIRLPOOL TUB AND SEPARATE WATER CLOSET. WALKING UP THE SOLID OAK STAIRCASE W/ ROD-IRON AND CUSTOM WOOD WORK HANDRAIL YOU'LL FIND 2 BEDROOMS, A BATHROOM, SECONDARY LIVING ROOM AND A BEAUTIFUL LOFT OVERLOOKING THE FIRST FLOOR FORMAL LIVING. THROUGH THE FRENCH SWINGING GLASS DOORS, YOU'LL FIND A TRUE GOURMET KITCHEN W/ RAISED PANEL WOOD CABINETRY, DESIGNER GRANITE, UNDER CABINET LIGHTING, A CHEF INSPIRED RANGE FEATURING DOUBLE OVENS AND FIVE BURNERS. 2 MORE BEDROOMS AND THE BONUS/GAME ROOM. THIS HOME IS LAID OUT PERFECTLY FOR ENTERTAINING. OUTSIDE YOU'LL FIND THE LARGE SALT WATER POOL AND PAVERED PATIO INSIDE OF YOUR MANSIORED POOL ENCLOSURE. CLOSE TO THE WORLD FAMOUS "TARPON SPRINGS SPONGE DOCKS", FRED HOWARD AND SUNSET BEACH! SCHEDULE YOUR PRIVATE SHOWING TODAY! Directions: HEADING EAST ON TARPON AVENUE FROM MCMULLEN BOOTH/EAST LAKE TURN NORTH ON JASMINE AVENUE TO ADDRESS.